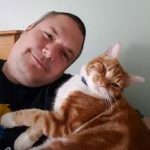 This guide was created to raise awareness about pet seizures & Epilepsy and educate people about this treatable disease. Anyone who’s witnessed a seizure knows just how terrifying they can be. Different types of seizures require different types of treatments and all have different levels of success. In order to properly care for a pet who has experienced a seizure, one must first know the different types of pet seizures, understand the causes, and recognize the symptoms. A seizure is described as an involuntary disturbance of the brain which causes muscle spasms. During a seizure, your pet’s muscles will uncontrollably contract and relax in a shaking or twitching motion. 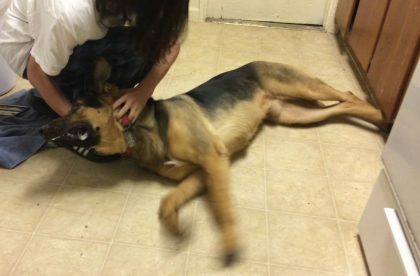 Although these convulsions are not directly threatening to your pet’s life, you should always pay close attention and care during an occurrence. Epilepsy is the term used to describe multiple seizure intervals. An Epileptic seizure can happen once or happen in several small clusters. They can be random and unpredictable or occur on a regular basis. What are the different types Seizures? During a Generalized or Grand Mal seizure the tonic phase occurs when the pet loses consciousness, falls to the ground and extends the limbs. The pet stops breathing during this phase. This can last between 10-30 seconds before the clonic phase begins. The clonic phase includes paddling of the paws and chewing uncontrollably. Barking and or whining may occur. Other symptoms of the clonic phase include pupil dilation, salivating, urination, and defecation. This phase can last between 30-90 seconds. Recovery is usually fast but sometimes can take up to 24 hours to fully recover. Petite Mal, Tonic, Tonic-Clonic, Myclonic, Atonic, and Partial seizures, all fall into the Generalized seizure category. These are very rare and often occur unnoticed. Symptoms are brief unconsciousness, blank stare and brief loss of muscle control. These will last briefly about a minute. 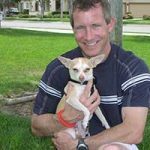 Your pet’s pelvic muscles and or facial muscles will contract, jerk or twitch. This type is more common in younger animals who suffer from symptomatic or idiopathic epilepsy. Small spasms are confined to certain areas of the body. Signs include confined muscle jerking, movement of a single limb, bending of the body to one side, and facial twitches. A partial seizure can easily progress and be considered a generalized tonic-clonic seizure. Partial seizures often fall under the secondary epilepsy category. Similar to Cluster Seizures (several short seizures occurring within a small timeframe) but without the pet regaining consciousness in between them. Status Epilepticus can affect animals with a history of epilepsy or no history at all. These types of seizures can result in brain damage or death if not treated right away. What Are The Causes of Pet Seizures? Environmental related issues: Ingesting a poisonous substance is the number one preventable cause of seizures. Keep your pet away from any harmful substance. Head Injuries: Accidents involving a head injury can also cause seizures. Health-related issues: Low or high blood sugar levels, Liver disease, Kidney disease, Blood pressure too high (or low), Brain Cancer, Anemia, Electrolyte Abnormalities. 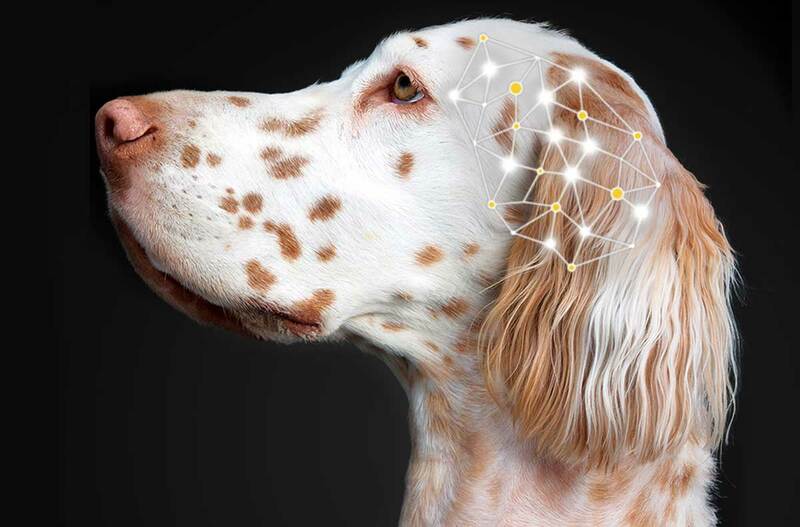 Genetic related: Certain breeds including Belgian Tervurens, beagles, Shetland sheepdogs, Labradors, Vizslas and golden retriever are more likely to develop epileptic seizures. Genetic epilepsy will usually occur within 10 months to 3 years of age but can sometimes occur up to 5 years of age. Listen to what our customers are saying about Holistapet and how it can help aid the relief of many Seizure & Epilepsy related conditions. Early Warning Signs – What Symptoms To Look For? Before a seizure, your pet will usually experience a stage of altered behavior called the “Aura Stage”. During this period your pet will become distant, confused and will star into space. Other early indications that your dog might be about to have a seizure may include agitation, Nervousness, Restlessness, Vocalization, Clinginess (following you around seeking attention), and Confusion. During a seizure, it is important that you keep your dog away from anything that can possibly harm or hurt them. Keep them away from dangerous or sharp objects. Gently remove them away from stairs or furniture. Try to avoid contact with the mouth or head area as sometimes they will snap or bite uncontrollably. 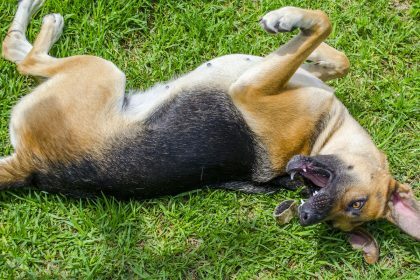 Other symptoms that your pet is having a seizure include collapsing, extending the limbs out wide, jerking or twitching of the muscles, loosing consciousness, chewing or biting the air, and foaming of the mouth. Try not to be frightened as these symptoms are all natural. Talk to your pet gently and comfort them. Keep calm and wait the it out. It’s also important to time the seizure if you can remember to do so. This phase is referred to as the “post-ictal phase”. After a seizure, your pet will seem disoriented, confused and “out of it”. Sometimes they may even appear to be sedated. Temporary blindness may occur as well. You should do your best to keep calm and comfort your pet. Speak in a soft tone, let them know you are there and assure them that they will be ok.
It’s extremely important to monitor your pet in the minutes and hours immediately following the seizure, making sure they don’t have a repeat seizure. Numerous seizures that occur in a short timeframe can lead to brain damage. If multiple seizures occur, contact an emergency vet immediately. Overheating from multiple seizures is a possibility. If overheating occurs, turn on a fan or apply a cool cloth to the paws and abdomen. This will help to cool down their body temperature. You can allow them to consume small amounts of food and water. Be sure to remain calm as your behavior will often reflect in your pet’s behavior so keeping your cool is a must. 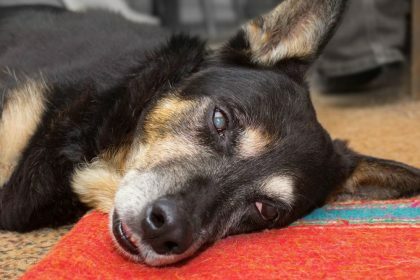 After a seizure your pet may also experience symptoms such as loss of balance, bumping into walls, transient blindness, and autonomic discharge. These symptoms are normal and will pass so try not to be alarmed. When brain abnormality is diagnosed (from brain tumors, brain infections, brain inflammation or brain malformations), there are good treatment options. Treatments will vary based on the severity of the disorder. If your vet has ruled out any of the brain abnormality conditions above, then epilepsy will likely be diagnosed. Epilepsy is the most common cause of pet seizures in healthy cats and dogs. Epilepsy can be treated with a change in diet or medications. Cannabidiol (CBD) has been studied for its pain relieving, anticonvulsant and anti-inflammatory properties. 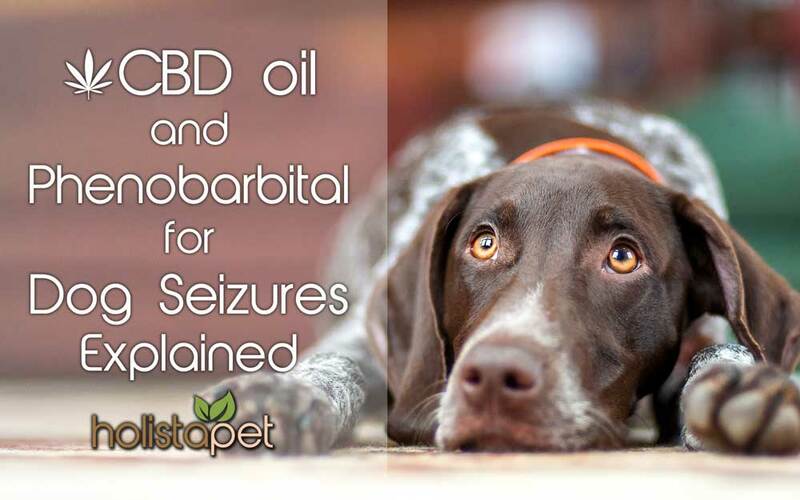 CBD has shown to be an effective form of treatment for epilepsy and seizures in pets. CBD greatly reduces the severity and frequency of the seizures. 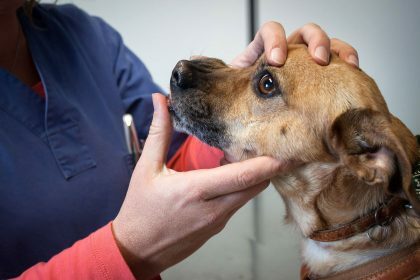 Pet’s that are diagnosed with epilepsy are commonly prescribed with phenobarbital, while this drug is recommended by vets and by the world health organization to treat epilepsy, it comes along with some serious side effects. These include liver damage, lethargy, confusion, dizziness, and increased appetite. While these side effects are severe, more pet owners are turning to the more natural approach of CBD which carries NO negative side effects. HolistaPet delivers the best CBD for epilepsy in the form of CBD Tinctures, CBD Capsules, CBD Cat Treats, and CBD Dog Treats. We have specialized formulas which are specific to your pet’s needs. 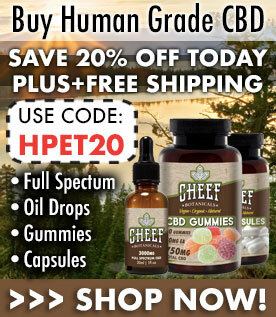 Browse our pet CBD Products now to find the right fit for your pet. Research has shown that CBD may have many therapeutic uses. Below is a list of recent studies on CBD and it’s potential for use in treating seizures and epilepsy. Please note that most of these studies involve cannabinoid molecules, experimental animals, test tubes, and sometimes human cell-lined studies. It’s important to understand that all mammals including dogs, cats, rats, elephants, and humans have cannabinoid receptors which all work in the same way within our Endocannabinoid System. Read more related articles on Seizures & Epilepsy and educate yourself to be prepared! 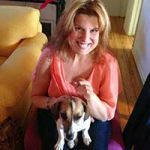 Learn what to look for when your pet is having an attack.